Time management – it is said to be the best solution to manage the busy life of any corporate employee and get things done. It helps to organize your daily activities thus alleviating your stress. Various getting things done software (GTD)are now available in the market, all promising to make your life simpler, organized and manageable to allow you to get more things done each day. The simplest of applications for getting things done is still the pen and paper method, but since most people are wired, it is simpler to just use an application rather than go the pen and paper route. Some of the top GTDs are proprietary but you can still find several that are free to download and use. We are taking a look at some of these freeware that are as effective as the ones that cost from around $15 to over $2,000. This is like wiki notebook where you can store your ideas, to-do lists, your thoughts and contacts as well as other things you are compelled to write in a journal. You can easily cross-link information with other notepad applications. It is a standalone notepad application available to download from Sourceforge.net. It may look confusing at first but there is adequate documentation and instructions on how to get started. In a short time, you will be able to track all your thoughts, ideas and to-do lists. Doit.im is a free application that gives you the freedom to easily manage different tasks. It is available in a Windows version and also has Android and iPhone versions. It incorporates the basic principles of getting things done and gives users several convenient tools to guide users on how to introduce GTD to their work and personal schedules. It will use a central server for the storage of information when you use it on a network. It has secure online data storage and has the capability to synchronize between different online clients, for example your company computer and your home computer so that you can access your updated information wherever you are. 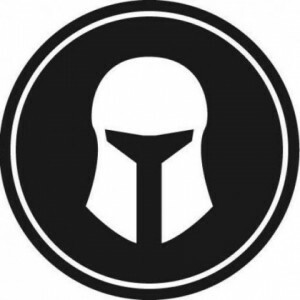 Task Warrior is an open source program. It is a task and time management tool with a command line interface. It uses the techniques and concepts presented by Getting Things Done author, David Allen, but it does not profess to adhere to any philosophy for life management. It has several themes to customize your application. Main commands include Add, List and Done. The program has a 30-second tutorial as well as a full tutorial available. Users who have downloaded this getting things done software from Sourceforge.net were very impressed with its performance and gave it a 93% rating. It is a multi-platform task manager programs with filters that you can customize. You can synchronize the Supports Task feature from different web applications. The program includes special search filters and has several templates to make adding tasks quite easy. Donedesk is a project management and social task tool that is good for business and personal use. It can be used as a collaboration tool for tasks and projects involving a team. It can be shared with people you want to work with and has unlimited levels of delegation and has an auto follow-up functionality for team members with assignments even if they are not users of the application. It increases productivity and reliability of the team, with numerous assign and reassign functions. It generates to-do lists automatically and allows you to create and customize your priority lists. Its Work Stream sends you notification when action is needed and when things are completed. The number of contacts you can add to Donedesk is unlimited. Tracks is a web-based application designed for multi-users. It has a built-in webserver to allow you to run the program on your computer, although it needs an installation of Ruby Rails. All actions are shown on the main page and are sorted by context. It is a robust application that allows users to add contexts and projects, attach notes, individual actions and tag them. Due dates can be specified and progress can be measured. Free download is available from the application’s website. 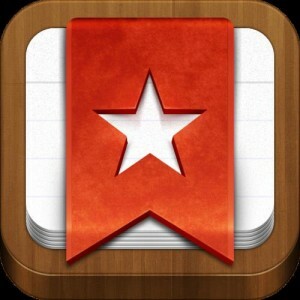 Wunderlist is a German creation. It is a very easy to use task management application that has cloud synchronization capability. The application is robustly designed to increase team collaboration and productivity. It allows you to organize your to-do lists via the web and synchronize it with the free Wunderlist account between windows and other platforms. It supports GTD and allows you to edits tasks assigned to other people, view tasks and add tasks to the lists assigned to other people. GTD Free is a very straightforward implementation program of how to get organized. It is a Java-based desktop application that works with Windows and other platforms with Java. It is not a collaboration tool but rather a personal app for your to-do list, designed to be as simple and as easy to use application. The aim of the developers is to guide the user on how to use and apply GTD principles with a very simple user interface and simple and easy to follow steps to create a workflow. A user does not need to spend too much time using the tool. It has five built in tabs for the flow process to make the task of GTD as easy for the user as possible. Thinking Rock is a GTD application created in Australia. Thinking Rock is a task manager at its simplest. However, this is also a robust application that has customizable fields, allows multi-tasking, project hierarchies and complete management of workflow. It runs across different platforms – Windows, Linux and Mac. You can add as many thoughts and project ideas you have in the program that could be sorted later. You can add bookmarks to the program for websites you frequent or schedule articles you want to read by copying their URLs and adding them to the task manager. It is a web-based application that works across platforms and can be accessed from any computer. It has a robust to-do list management feature. It can be integrated with Google Calendar and Gmail, and has support for Google Gears for working offline. The free version has limited functions but quite good enough for the requirements of most GTD practitioners. Today, Tomorrow and Overdue are the tabs that show up on the homepage after you have logged in to your account. Clicking the Continue to Tasks button allows you to manage your to-do list. The interface is simple and very easy to follow, making this very popular for GTD. Life will be simpler if we can manage it better. While there are people that are able to manage their tasks and their time effectively many more need help. Getting things done software makes the process of time and task management work efficiently, with its functionalities to send out alerts and reminders, generate to-do lists, collaborate with other people and mark tasks that are done.